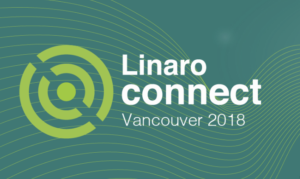 Since 2010, Linaro Connect has been the event to attend if you are interested in open source software development for Linux, tools and the various vertical segment ecosystems that use Arm processors. While the event continues to evolve, one thing stays the same – it revolves around engineering and will consist of a mix of industry keynotes, engineering presentations and discussions, and collaborative engineering hacking sessions. Thea Aldrich, Zephyr Project Evangelist and Developer Advocate, will give a keynote presentation titled “Putting Principle into Practice: A case study on building a diverse open source technical community,” on Friday, September 21 at 8:15 am. This presentation will cover lessons learned over years of working directly with developers and organizational stakeholders to build diverse and scalable open source communities. Mrs Aldrich will share her experience discovering the world of innovation and invention that is embedded and IoT development through the Zephyr Project. To register for the event or to learn more, click here.